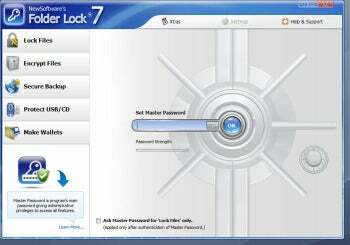 Folder Lock 7 ($40, five-day free trial) is a one-stop-shop for file encryption and data security. It’s impressive and affordably priced, and it fulfills basically every security need you can think of—making it a must-download if you need to secure your files. Folder Lock's interface is easy to use, but a bit over the top in appearance. Version 7 of Folder Lock added an optional online component so you can sync your data lockers to developer NewSoftwares' own storage service. The service cost $5 per month for every 10GB—not the cheapest but relatively competitive. The 10GB should be more than enough for only your secure data. Other handy features are login attempt tracking, and creating both normal and self-extracting password protected zip files. Lock away your private files with a password known by you, and you alone.